Preparation for Complete Fumigation – Swift Termite Control Inc. 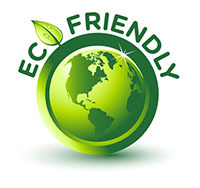 SWIFT Termite Control will provide you with a Fumigation Notice which explains what should be taken from the house, what is acceptable to leave in the house and how to handle perishable and open food products.SWIFT Termite Control will provide you with state-approved bags for bagging food. You will need to remember to take the dog, cat, bird and plants. All living things must be removed. As stated earlier, this type of fumigation will take anywhere from two (2) to five (5) days, depending on the type of chemical used. As an added note, if anyone in the family has allergies or breathing problems, you should consult your physician informing him/her of the chemicals that are being used. And they can determine if this will be harmful to your health. 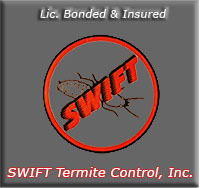 Prior to you moving back in to your home, SWIFT Termite Control will go into your home and perform a thorough inspection to ensure that all evidence of the chemicals haved dissipated. You will then be instructed on how to handle the conditions.